since the Argentinian one seems mostly decided. Russia was generally pro-Armenia, but with the money Azerbaijan can pour into Russian defense industries, and growing energy interests.. good chance Russia can ditch Armenia for Azerbaijan which would be more lucrative. but don't count on new Sukhoi sales to Azerbaijan.. since Sukhoi is run by an Armenian. Investment has been made in various Israeli UAVs (Hermes, Heron, Searcher etc). Population is about 9 million. Last edited by thobbes; 13th June 2013, 00:38. "It will be so loud that if we move in next door to you, your lawn will die". I have severe doubts that all Azeri Su-25s were upgraded to KM standard, if any. The available photos usually show their aircraft with the T-shaped dorsal antenna which is not present on the Scorpions. If there are some Su-25KMs, then they are not many of them in service. is Georgia still in a position to offer upgrades to the su-25s or did the factory lose that capability? What haven't stopped the Caucasus's trio to ditch their hatred and work together with Iran on Syria. They are doing fine selling to both so no need to ditch neither of them. As a result of the efforts made by persons of Armenian descent, who lead the Russian aviation industry, the negotiations with Russia on the purchase of combat aircrafts Su-27, Su-30 and MiG-31 have not produced results. Someone's trolling like a sir in Azerbaijan . Last edited by AttilaA; 30th June 2013, 18:02. Earlier there were rumours about negotiations for KA-52, and recently there was this report. KA-52 could be a possible addition to Azerbaijani airforce in coming years. I would focus on infrastructure and defensive sub-systems. Make sure all of the air bases are in good order and what not. I would also complement the S300 systems currently in use. The Hind fleet is relatively modern, so there is no need to replace those just yet. A squadron of T-129 (most likely) or Ka-52's could go along real nice with the rotary winged component(s). I believe all of the Su-25's have been upgraded, if they have not, make that a priority. I would put the MiG-29's closer to replacement than the upgraded Su-25's. Get rid of the small amount of Su-24's in service. Keeping 5-6 of any type, like that, does not make much sense. 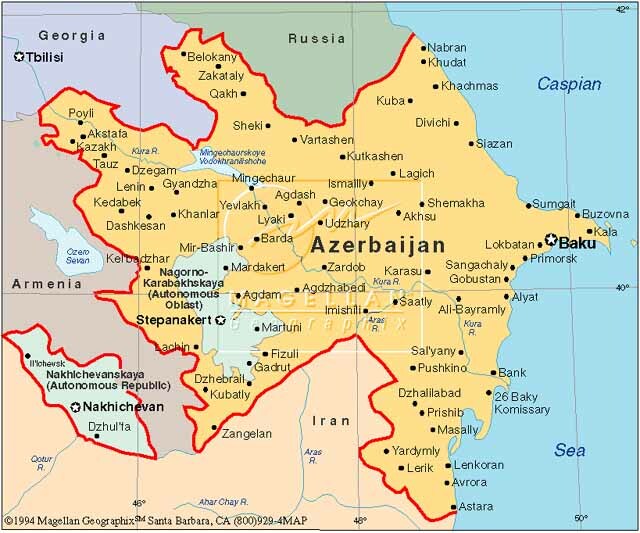 What kind of strategic goals does Azerbaijan have? Is it just enough to keep Iran from invading, or are there other objectives? I think they're probably more worried about Armenia than Iran. Iran is a non-entity in an area still dominated by Russian influence. What kind of strategic goals does Azerbaijan have? Karabakh, restoration of territorial integrity first and foremost. I think more general mulch-purpose birds are a better idea for the Azeris. Su-34 is a specialized luxury for a relatively small AF (even though they are comparatively lavishly funded, dat sweet sweet oil ), not to mention they have no use for its very long range strike role. They recently took delivery of upgraded MiG-29s from Ukraine (~ two dozen IIRC). These are the logical starting point for a bigger fleet. More upgraded MiG-29s is probably the sensible solution, MiG-35 if they are feeling like splurging + if the maintenance and training footprint is not too different from legacy Fulcrums. Yak-130 also very much makes sense. Last edited by TR1; 30th June 2013, 23:50. As a a purely offensive system, Su-34 a great/super power playtoy. Smaller and even medium countries are better serviced by multi-role fighters. In this case MiG-29 is perfectly capable, especially upgraded to M/M2 standard. Mig-29s were bought back in 2006-2007, but back then Azerbaijan did not had the same funds it does now, so a better choice would be new fighters from Russia, more advanced. The "upgrade" to Mig-29s by Ukraine was only minimal. I would also think along the lines of Mig-29M2, or even Su-30 series. All times are GMT. This page was generated at 13:53.